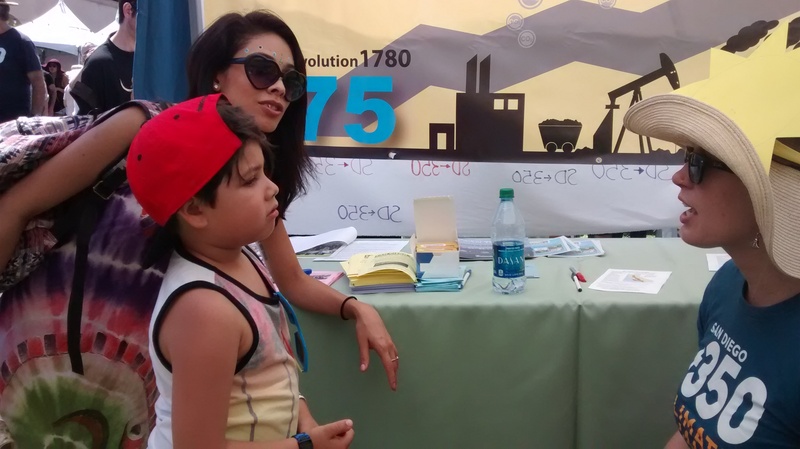 SanDiego350 sponsored a “Climate Chat” this month on the theme of “Holding Fossil Fuel Companies Accountable”. 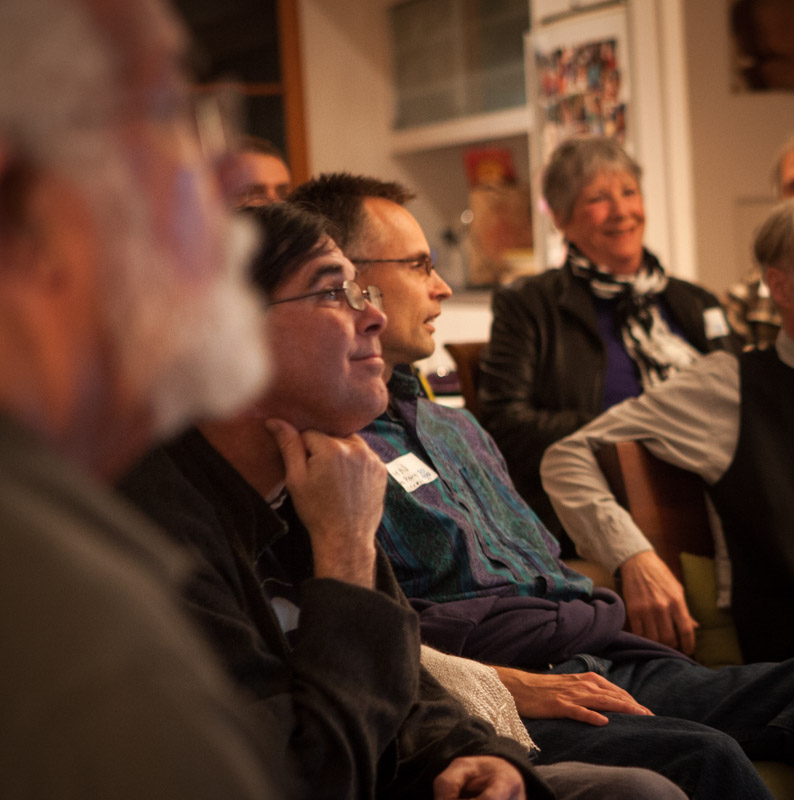 The venue was the First Unitarian Universalist Church, Hillcrest – a perfect venue, explained the Church’s Rev. Ian Riddell because of their commitment to environmental issues. The main focus of the event was that California communities such as Imperial Beach are suing fossil fuel companies for the costs of their deceptions. Oil and gas corporations have known since the early 1960s what the consequences of burning fossil fuels would be. As sea levels rise and climate events intensify, governments are forced to invest in costly mitigation and infrastructure projects to adapt to a changing environment. Fossil fuel companies have not only been hiding the findings of their own climate research while preparing their infrastructure (drilling platforms and the like) for climate change effects. They meanwhile have actively maligned the science in order to deceive the public, investors, and to delay the transition to clean energy in pursuit of profits! Unfortunately, the evening was provided the perfect backdrop for a discussion of climate change and costly mitigation responses as Southern California burned with numerous evacuation orders issued. Besides the Thomas, Creek, Rye and Skirball fires in Los Angeles and the Liberty fire in Riverside, the Lilac Fire in San Diego North County had just started at mid-day and was already at 2000+ plus acres by early evening. This just two months after Northern California experienced devastating wildfires, and unprecedentedly late in the season. While wildfire is a natural part of the California ecosystem, the level and length of drought experienced by the state is vastly magnified, and directly related to global warming. After introductions by SanDiego350 volunteers James Ferguson and Joyce Lane, who explained SanDiego350’s purpose, the speaker lineup included Kath Rogers, Serge Dedina and Peter Zahn. Kath Rogers is an Adjunct Professor at the Thomas Jefferson School of Law, a long time animal-rights, environmental and social justice activist and SanDiego350 Board member. Serge Dedina is Mayor of Imperial Beach and Executive Director and Co-founder of Wildcoast. Peter Zahn is the Former Deputy Mayor of Solana Beach and Director of the Moxie Foundation. In 2007 Massachusetts successfully sued the EPA, establishing that greenhouse gases are within its regulatory mandate. The Sierra Club sued the County of San Diego over its weak Climate Action Plan and in 2014, the court ruled against the County on the basis that the Plan lacked mandated enforceable measures. This set the bar for Climate Action Plans in other jurisdictions. A case being particularly watched at this time is Juliana v. U.S. This lawsuit proposes that we have a constitutional right to a livable planet. If this continues to move forward and this premise is accepted by the Supreme Court, then government would have a duty to protect the atmosphere. Mr. Zahn assumed the role as moderator offering themes for discussion. The Mayor responded that 40% of Imperial Beach will be underwater within 100 years if nothing is done. The estimate for beachfront infrastructure changes alone is upwards of 100 million dollars. Imperial Beach’s lawsuit targeted 35 fossil fuel companies to admit culpability and pay up. It was an ethical imperative to address these costs because poor working-class communities cannot raise the funds, unlike wealthier jurisdictions. Imperial beach is such a community, with 67% of the population renters, so funds are not available. This is a social justice issue. 2. What Can Public Activists Do? Mayor Dedina had recently spoken with President Obama at the United States Council of Mayors and the President stated that the voice of the people and the actions of smaller jurisdictions are what initiates change. 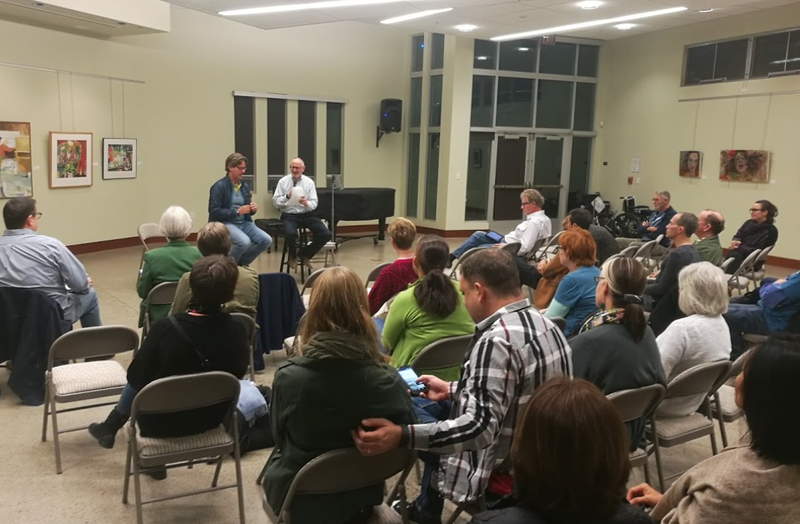 Peter Zahn relayed that when he was Deputy Mayor of Solana Beach that you were forced to listen to those that showed up to City Council Meetings. The Mayor emphasized that not all cities have done the work to estimate sea level rise and develop coastal plans, including the City of San Diego. Why have they not joined the lawsuit? He encouraged SanDiego350 to help push the City to do the work. The Mayor shared that the Trump administration included no budgeted funds to address the biggest violation of the Clean Water Act ever. Border patrol agents have been sickened and the environment degraded, but no one in the US administration cares. Working with the Mexican government on this issue in some ways has been easier because Mexico stayed in the Paris Climate Accords. Mexico must hit benchmarks, so they are more open to ideas to meet their goals. 4. Imperial Beach and Community Choice Energy (CCE). Zahn stated that in Solana Beach they are focussing on vehicle miles traveled and Community Choice Energy as primary strategies to meet clean energy goals. He said the City of San Diego could be “the jewel in the crown” if they adopt CCE. What about Imperial Beach? 5. Social Justice Issues/Environmentalist Friction. The Mayor stated that having enforceable Climate Action Plans are necessary but there needs to be a focus on the mechanics, the “how” of attaining environmental goals. Many environmentalists are guilty of not considering “how”. Zahn agreed and added that identifying funding is critical. 6. Innovation and Risk Taking. Zahn said that the pace of enacting innovation is too slow. Let’s remember that “innovation does not have to be novel, it just has to be a city doing what its supposed to do”. After the panel discussion concluded there was a period of question and answer for the audience. Besides excellent education on the issues, the main take away of the evening was “get involved”. To paraphrase Rev. Riddell, we are all part of an interdependent web. We have a responsibility to all life and especially are called to protect those on the margins who are most vulnerable. Climate change certainly impacts those who are poor and have no power first, and to a greater degree. So let’s work together to address climate change with the most vulnerable amongst us foremost in our minds. Excellent Write up, Stephanie. Thi event, and the speakers lifted my curtain of despair of the daily news, featuring people working to do the right things for their communities. Great message for us all.